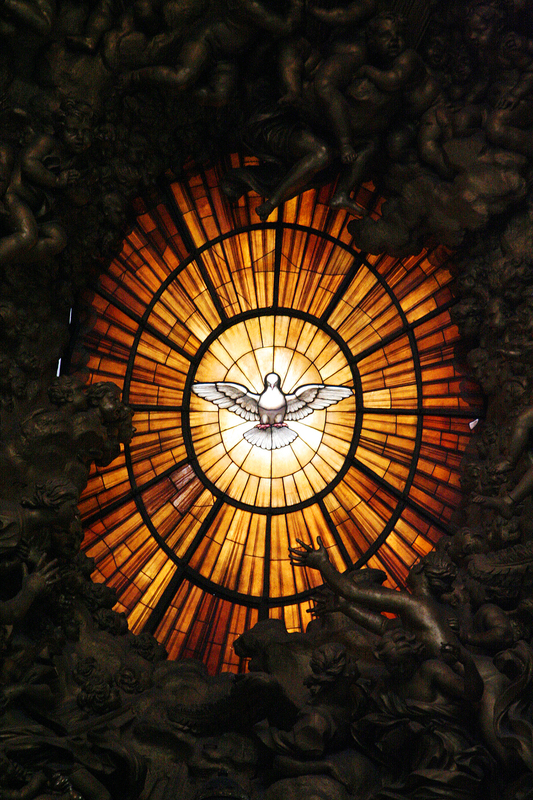 Stained glass window depicting the Holy Spirit. St. Peter’s Basilica, Rome. The bad news is that words are a lousy way to communicate. Just as often they confuse the issues of our lives instead of clarifying them. It is words, poorly chosen or hastily spoken, that create most of those boundaries within our church communities, in our neighbourhoods and in our families. Before there is war, there is usually an argument. But the really good news is this: We have been given the gifts of the Holy Spirit at Baptism and Confirmation, and so we already have within us the capability to hear in our own language what those around us are saying. So it makes sense that Pentecost should be the day when we try to do the same – to really hear and understand what others are trying to say. It’s worth a try!